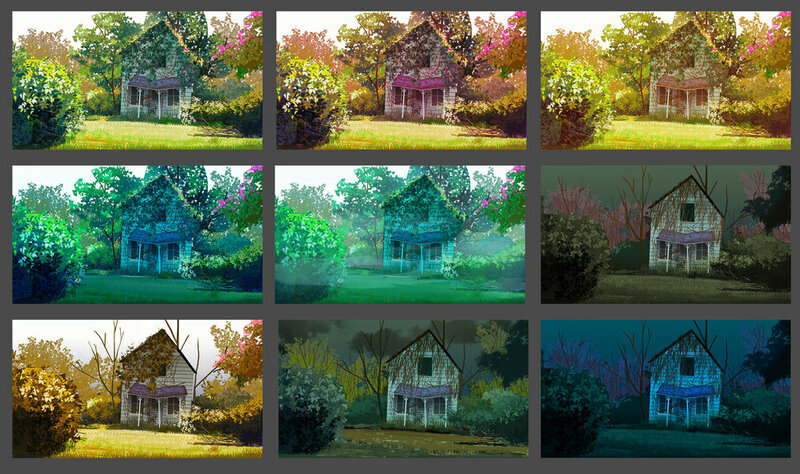 A study of a house that I used to explore moods and colors. A background made for a friends who provided a list of items required that included 6 plants and a giraffe. Another experiment in color and mood.